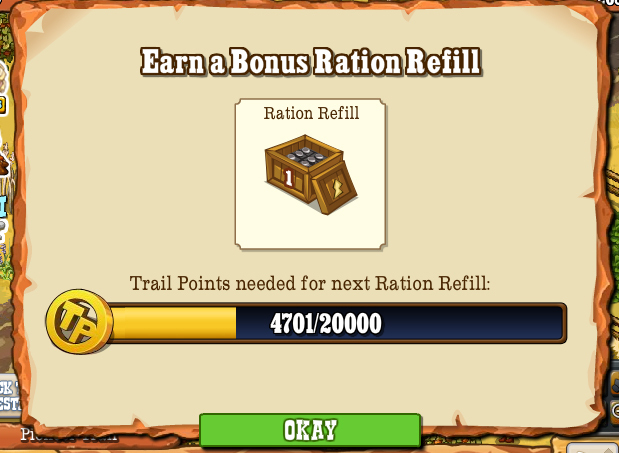 For those who like to plan ahead, how to find out what amount of Trail Points are currently left before you get yourself another of the magic ration refills. Please note totals seem to work via a formula, giving different level points for different people, this is the only certain way of finding out how far for your next level. THERE ARE NO SET LEVELS... unfortunately you can't glance at your trail points and think "I'm at 29'000 so only 1'000 to go for a level up". 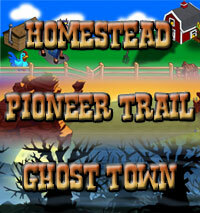 It just doesn't work the same way as XP and levels do in Frontierville. Then, DOUBLE click on that to bring up the info window which will tell you just how far you have to go to get the next level!